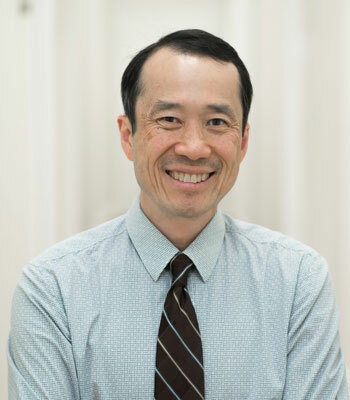 Dr. Mah attended medical school at the University of British Columbia, graduating in 1991. He then continued his ENT Residency at UBC until 1996. He won the Zomed Canadian Resident Clinical Research Award in 1995. He currently has an established clinical practice in Coquitlam. He practices a full scope of ENT, including adults and children. He has a special interest in nasal obstruction and sinus conditions. He has full surgical privileges at Eagle Ridge Hospital, Emergency/Visiting privileges at Burnaby General, Royal Columbian and Ridge Meadows Hospitals. He is married with 2 daughters and enjoys marathon running, cycling, skiing, hiking and traveling.